Heathland courses are special. With fairways lined by a striking variety of mature trees interspersed with swathes of ultra-colourful heather and gorse bushes, they’re exceptionally easy on the eye. Add the fact that they’re sand-based and playable year-round and you understand why they’re so popular to play and below are 32 of the UK’s best heathland courses you can play for under £50…..
A decent all round test with a good combination of short and long holes with a variety of hazards on the approach shots making club selection important. You'll be well impressed with the clubhouse and driving range too.Tel: 01604 843939. Originally designed by James Braid, this splendidly rolling layout has been described as the ‘Jewel of Cumbria’ and is challenging for good and not-so-good players alike. Enjoys an idyllic setting, providing superb panoramic views.Tel: 016977 2255. Justifiably claims to be the ‘home of year-round golf – it very rarely closes because of inclement weather – and the well established layout which serenely sits within Clumber Park, is always in fine shape. Tel: 01909 501431. Celebrated its centenary two years ago and this Alister MacKenzie-designed mooreland-heathland layout majestically sits amidst the Pennines above Huddersfield. But don’t panic – it’s relatively flat and easy walking.Tel: 01484 653216. 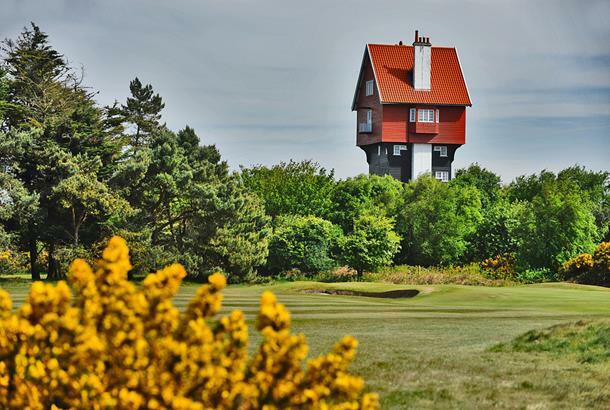 Suffolk boasts some quality courses and this is one of the very best: it has a great mix of challenging, rewarding – and densely-populated tree-lined – holes and is in immaculate condition year round. Tel: 01473 728941. The par-70 Purbeck course is awash with charm and character and is breathtakingly plotted within an exquisite heathland/nature reserve setting with jaw-dropping views of Poole harbour and beyond. Tel: 01929 450 361. Originally laid out by Old Tom Morris in 1897, at under 6,000-yards the par-69 Kendal provides a short but sweet and testing examination from its lofty location overlooking the historic town of Kendal.Tel: 01539 733708. Classy par-72 track majestically carved out of the ancient and scenic Charnwood Forest. It unusually starts with a par-3 and is an inspiring century-old private members club just outside Loughborough and is definitely among the best courses in the area. Tel: 01509 239129. Plotted within an area of Outstanding Natural Beauty overlooking the Ribble Valley and is a fair par-70 examination. It may be a tad under 6,000-yards but Longridge can be a hard nut to crack when the wind blows and you’ve got to be watchful on the tricky-to-read greens.Tel: 01772 783291. James Braid creation plotted on around the town’s racecourse on unspoilt heathland in the beautiful rolling hills of South Shropshire. The par-70 layout guarantees an interesting round and you’ll enjoy treading the lovely springy fairways and putting on the superb greens.Tel: 01584 856285. Pleasant course which originally opened on the edge of the Pennines as a nine holer in 1889.Take in the breathtaking views across the Cheshire Plain but don’t get too distracted because there are plenty of trouble spots to avoid. Tel: 01625 423227. Intriguing and picturesque par-69 layout plotted in Lyndhurst in the heart of the New Forest. The course has been around since the late 1880s and is overlooked by a modern clubhouse with good facilities. Benefited big time from a major £400,000 plus course investment a couple of years ago and is reaping the rewards thanks to improved drainage and the complete rebuilding of 14 greens.Tel: 01825 722033. It’s over a century old and with firm, fast fairways and greens plays like an inland links. The fast draining par-70 layout rarely closes and though just over 6,000 yards, remains a strong test with a couple of par-3s over 220 yards!Tel: 01763 243476. It may just be over 6,000 yards but the coastal heathland layout should be treated with respect as you carefully plot your way between trees and strategically-placed bunkers.Tel: 0191 513 0837. 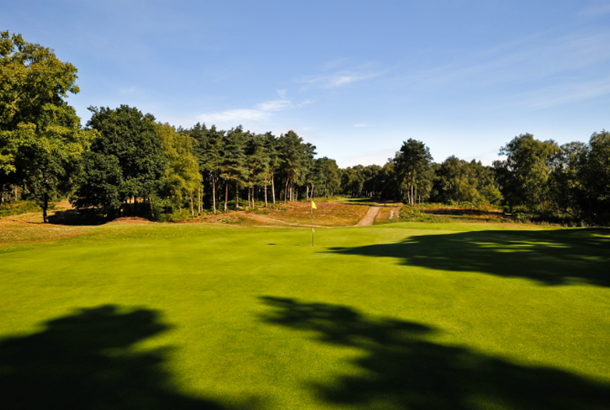 Initially set out as a nine holer on Breckland Heath before being transformed into a full 18-hole layout well over a decade ago with the new holes being plotted amidst mature woodland providing a challenging and scenic round. Tel: 01760 721621. Forget the fact it’s a shade under 6,000 yards, this classic heathland track will test you every inch of the way, specially the short par-4 15th and the 365-yards par-4 17th. Plotted on a hillside, the wind is always a factor.Tel: 01608 730047. The James Braid gem magically meanders through a colourful assortment of silver birches, gorse and heather and being close to the coast, plays like a links course with firm fairways and speedy greens. Tel: 01728 452176. Originally a nine holer in 1908 and though a shade under 6,000-yards, Wareham is still a worthy test and you’ll be in awe of the superb views across Poole Harbour, Purbeck Hills and Wareham Forest.Tel: 01929 554147. This understandably popular heathland course is backdropped by Lichfield Cathedral and was transformed into an 18-holer by Harry Colt in the late 1920s. It majestically wends its way through heather and gorse and you’ll need to keep on the straight and narrow to score well.Tel: 01543 432317. Awarded 'Best Course Under £50' at the 2015 Scottish Golf Tourism Awards, Alyth has been around since 1895 when Old Tom Morris created the original nine holes with James Braid completing the extension in 1934. You can’t afford to get too distracted by the wonderful surrounding scenery.Tel: 01828 632767. A challenging course with fine views across to the Campsie and Ochil hills. The par-4 12th is particularly demanding and the round finishes in style, the 18th being played from an elevated tee to a green in front of the listed building clubhouse.Tel: 01236 842878. Home of an exquisite heathland/parkland combination plotted amidst 128 acres in the foothills of the Angus Glens and thoughtfully re-designed by James Braid in the mid-1930s.Contact: 01356 647283. A heavily wooded heathland course, Forfar was originally the handiwork of Old Tom Morris in 1871 with James Braid making alterations in 1926. Best holes are the par-4 12th, a 444-yarder, and 15th with the latter suitably named ‘Braid’s Best.’Tel: 01307 463773. Overlooking the town, the course provides spectacular views over the Linglie Hills. Beware of the demanding 8th, known as ‘Long Hole’ and played through a narrow valley leading to a green hidden by heathery mounds.Tel: 01750 20621. It’s short and tricky – you can’t afford to be distracted by the amazing Firth of Clyde views – and you’ve got to carefully plot your way round to score well. As part of the club’s 125th anniversary celebrations, you can play it for just £12!Tel: 01475 520152. Neat little par-65 described by Peter Alliss as a jewel in the Scottish Highlands. It is well worth adding to your Highlands itinerary for the breathtaking views down the Peffery valley to the Black Isle - and beyond - alone.Tel: 01997 421219. Outstanding but underrated course carved out of an old open cast mine in the mid-1990s. 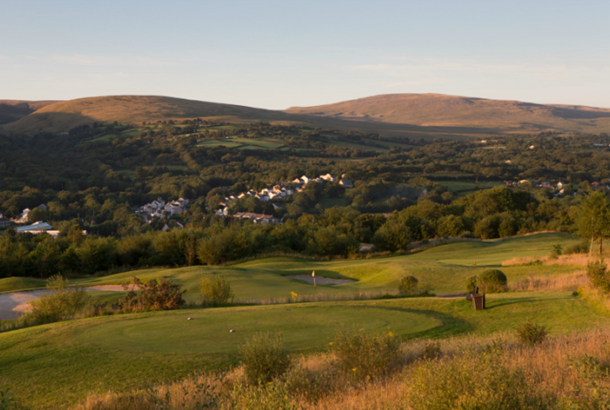 It boasts USGA-spec tees and greens, sensational Brecon Beacons views and a stunning pair of par-3s (5th & 17th).Tel: 01269 824121. Serious test of golf, especially in windy conditions, as it offers a different challenge on every hole. It was designed in 1934 by James Braid and Henry Cotton once declared: "I've travelled the entire golfing world, but never before seen such golfing beauty as Neath.”Tel: 01639 633693. Stands tall as the highest course in Britain, West Monmouthshire not surprisingly provides stunning panoramic views – none more so than on the 14th tee, the highest point being over 1500ft above sea level. The course itself is a solid all round test. Another Braid heathland and this one sits on the picturesque Howth peninsula and is currently celebrating its centenary year. Pick of the holes is the 5th, a classic left dogleg. Tel: 00353 1832 3055. A newcomer to the breathtaking west coast scene – it opened a decade ago but has already shot into Ireland’s Top 50 Courses. You have to carefully negotiate the river Fionnglass on the opening and closing holes.Tel: 00353 669474133.